The “Magic lever” is a characteristic element found in many SEIKO mechanical watches. This mechanism is used for auto-winding of the mainspring. The back and forth motion of the magic lever forces a ratchet gear to rotate in one direction only. That gear rewinds the mainspring which is enclosed in the barrel. 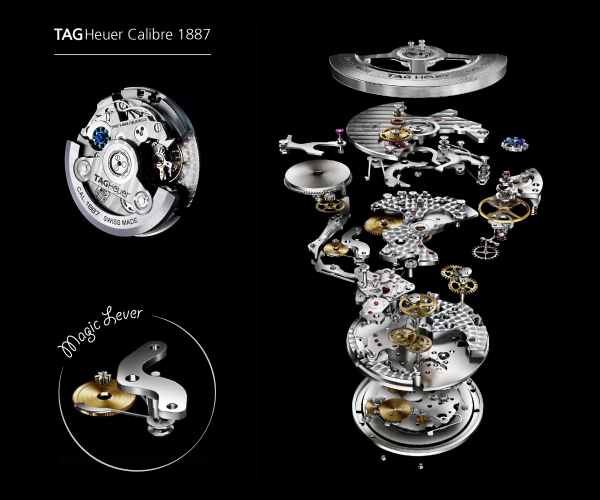 The Magic Lever can also be found in the TAG Heuer Calibre 1887.